Ollie Thorley scored a double as Gloucester Rugby completed a 36-13 bonus point victory over Leicester Tigers in the seventh round of the Gallagher Premiership at Kingsholm on Friday. The bonus point victory has taken Gloucester to the third position in the table with 23 points while Leicester Tigers are at sixth place with 17 points. 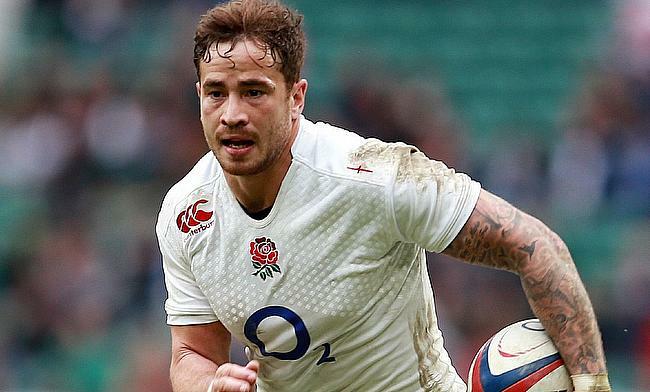 Cipriani on his return from a three-week ban started the proceedings for the Cherry and Whites with a third minute penalty goal that was negated by a three pointer from Joe Ford in the seventh minute. The Gloucester fly-half played a vital role in setting up their opening try through Jason Woodward in the 16th minute and Cipriani's conversion took them to a seven point lead that was reduced by three points with a second penalty goal from Ford in the 21st minute. Leicester had a struggling second quarter that saw Gloucester slot two more tries through Matt Banahan (25') and Fraser Balmain (37'). Cipriani missed the conversion on the first occasion but ensured he got it right in the second attempt as Gloucester completed the first half with a 22-6 lead. Things weren't too different in the second half as Gloucester went on to claim the bonus point with Thorley's first try in the 46th minute that was improved by Cipriani stretched the lead to 29-6. Leicester managed a consolation try from a driving maul when Mike Williams crossed over in the 54th minute but it was Gloucester, who went on to complete a 36-13 victory with Thorley's second coming in the final stage. "I've been doing a bit of work on my speed recently and a few people have been helping me out and that's really paid off," Thorley told BBC Radio Gloucestershire. "I relied on instinct. Danny has been helping me with a few things and Tom Marshall has been helping me too, so it was nice to get a bit of pay-off. "We're so happy because that really sets us up for the next couple of games. We really wanted to used this game as a springboard and we did that." OHH WHAT A TRY!! ?????? Big Ben Morgan with the step!? ?? Thorley with the afterburners! ? ?